Mythology was something that fascinated me as a young kid and continued to be a favorite of mine, especially in high school. I imagine that my fascination with mythology played a part in deciding to major in English in college. Why else would anyone major in English??? As I read more and thought more I started to focus on different aspect of the mythologies and began to diversify. By the time I was in my mid-twenties I had read bits and pieces of all the major cultural mythologies and ran across some others that were incredibly interesting. Obviously, as I kept going, I saw the parallels and, naturally, came across the work of Joseph Cambell. In reading both The Hero with a Thousand Faces (The Collected Works of Joseph Campbell) and The Power of Myth I found so much interest in the Hero's Journey and the concept of comparative mythology. 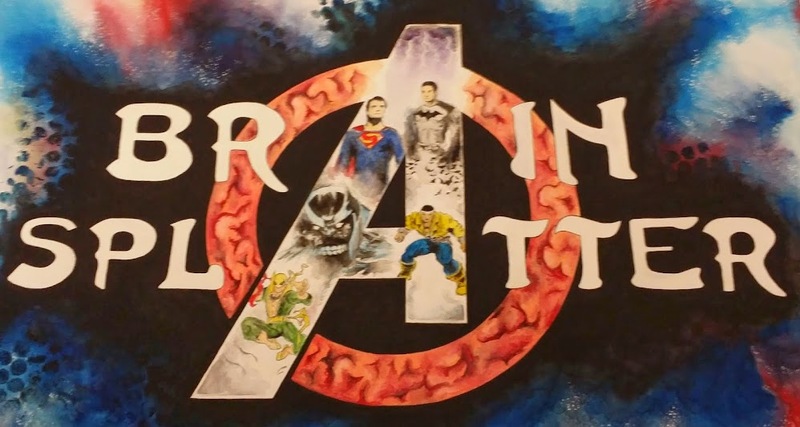 In fact, as a World Literature teacher, I made a project out of each of those ideas and I made sure to include things relevant to the students as well such as Star Wars and Lord of the Rings which, at the time, in theaters. All that said, it's not entirely shocking that I've decided to take a look at how the myths of the Norsemen influenced Marvel's Thor mythology and examine the concept of the hero's journey in the Thor film. Just so we are all on the same page, let's start with just who the Norsemen are. If you have the stereotypical vision of a Viking in your mind then you're on the right track. We are basically referring to the Scandinavians of medieval times who set the tone for exploring, colonizing and flat-out raiding from the sea in their wooden longships. They lived in harsh and extreme conditions: months of extreme cold, surrounded by snow followed the midnight sun and a short but beautiful summer. Given the environment in which they lived and the intensity of the seasons they experienced it is no surprise that two elements played key roles in their mythology: ice and fire. Nature, in general, must have been both beautiful and fearsome to the Norsemen. The majority of our impression of the Vikings is probably not accurate. Most envision Vikings as lawless, dirty, blood-thirsty barbarians incapable of any sort of civilized behavior when, in reality, they were quite the opposite. The contemporaries of the Vikings saw them as a culture to be feared but also revered. Their strength and fearlessness in battle are legendary so it is no surprise that a group of travelers who faced death from their environment and from their constant battles would love a god that was fearless and strong, the god of fertility and the protector of Earth: Thor, god of thunder. So, finally, to the point of this, where do Thor, and the other gods of the Norsemen, find common ground with their mythological counterparts? Let's take at where Thor, Odin, Loki, Sif and the evils of Norse Mythology fall onto common ground with Marvel's take. Thor has had a resurgence in popularity. The original film, his role in the Avengers, the fact that everyone loves Loki, and the current outstanding Marvel Now title,Thor: God of Thunder, Vol. 1: The God Butcher have shown us a fearless warrior whose biggest challenge comes in battling his own arrogance. Nearly invulnerable and immortal, Thor is physically the strongest of the Asgardians and with the use of his hammer, Mjolnir, with which he can command the elements of storms, he has fought and won many legendary battles. It is well-known that Thor loves Midgard (Earth) and that it's inhabitants are under his protection and he has spent a great deal of time there working with Earth's heroes to that end. Thor's original journey to Earth was not one of his choosing, however. 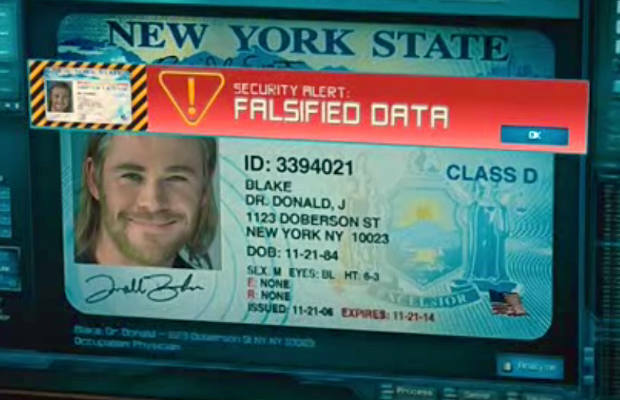 In an attempt to teach him humility Odin, Thor's father and the Allfather of Asgard, sent his son to Earth and into the body of Donald Blake, a cane-wielding medical student and soon to be doctor. Marvel Studios, rather than include this version of the character, cleverly worked the alter ego into the film by referencing Blake and having Dr. Selvig use the name as an alias for Thor while he was in the custody of S.H.I.E.L.D. 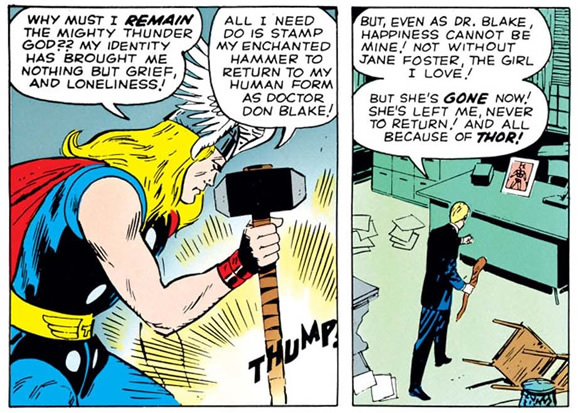 Initially, Blake has no knowledge of the fact that he is or ever was the god of Thunder and it is not until, by accident, he strikes his cane into the ground during an alien attack and transforms into Thor that he learns of his true dual nature. From here Blake is capable of transforming into Thor at will, his cane interchangeable with Mjolnir, and battles many villains while also, unknowingly, drawing the attention of his scheming brother, Loki, towards him and his beloved Earth. Thor, in an effort to defeat one of Loki's many plots, joins forces with Iron Man, Ant-Man and the Wasp to help battle a mind-controlled Hulk in the first issue of the Avengers and remains a member of the team 50 years later. 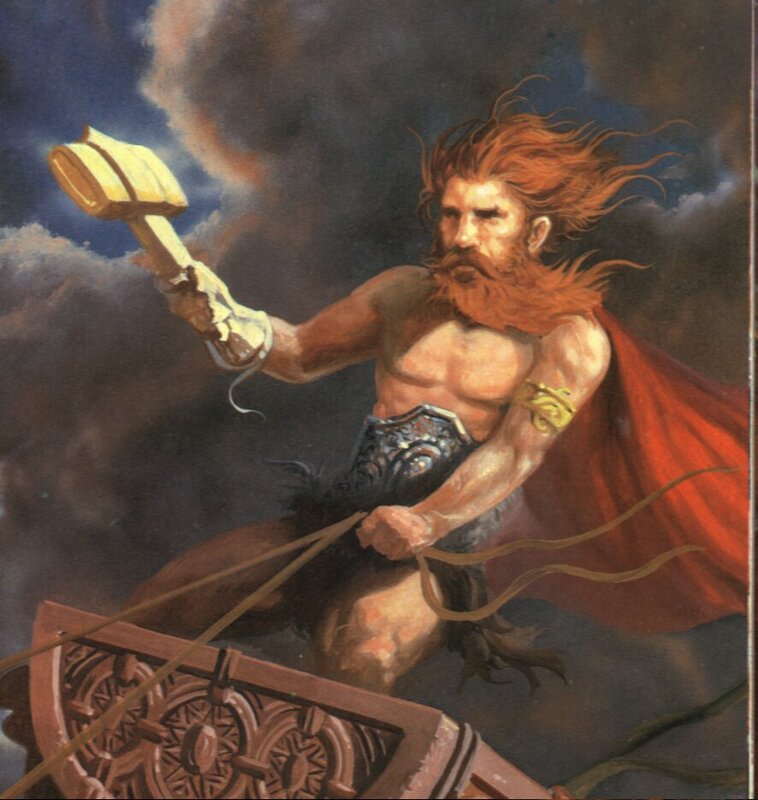 The Norse god of Thunder and the Marvelized version do have a great many things in common, though physical appearance is not among them as the god of myth sported ginger-locks and a long ginger-beard. As is the case with his Marvel counterpart, the mythological Thor is considered the protector of Midgard and favored among the gods. His weapon, the mighty Mjolnir, was a weapon of immense power, capable of leveling mountains and definitely a few frost giants. 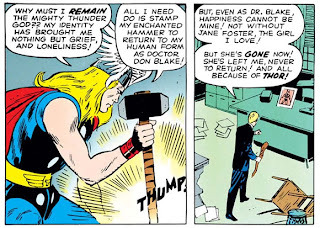 As in the comics it would always return to the hand of Thor no matter how far away it was. The heat of Mjolnir was so great that Thor had to wear a gauntlet, Jarngreipr, to protect his hand from being burnt while wielding it. The Mjolnir of Marvel has gained more powers over the years, most famously being able to control the elements of a storm and acting as a lightning rod, while also aiding Thor in flight and inter-dimensional travel in place of the Rainbow Bridge, the Bifrost. Interestingly, the mythological Thor was unable to use the Rainbow Bridge to travel as they feared his immense powers may destroy it. According to myth, Thor rode a chariot, drawn, of course, by two goats, into his battles and is inextricably linked with the events of Ragnarok in which the cosmos will end before being reborn anew. The dark forces, led by Loki and Surtur, the fire giant, will destroy the Earth. Thor will battle the Midgard Serpent, Jormungand, ahd kill it, though he will eventually perish from his wounds. Some of the Norse gods will survive the events and repopulate the Earth, beginning with two people, and an era of peace and prosperity will follow. These events exist both in mythology and in the Marvel comics and are a very good bet to find their way into the MCU in the third Thor film. If Thor dies in the film it is of little consequence to his further appearance in the MCU as he can always be resurrected, and it opens a spot to allow the roster of the Avengers to rotate as Joss Whedon and Kevin Feige have often talked about. Don't be shocked if Loki, who will certainly betray Thor in The Dark World, redeems himself by saving his brother and likely dying and traveling to Niflheim or Hel, the land of the dead, ruled by his daughter Hel or Hela. The phrase, "go to hell", may have found its origin in this way as going to Hel would mean to die. 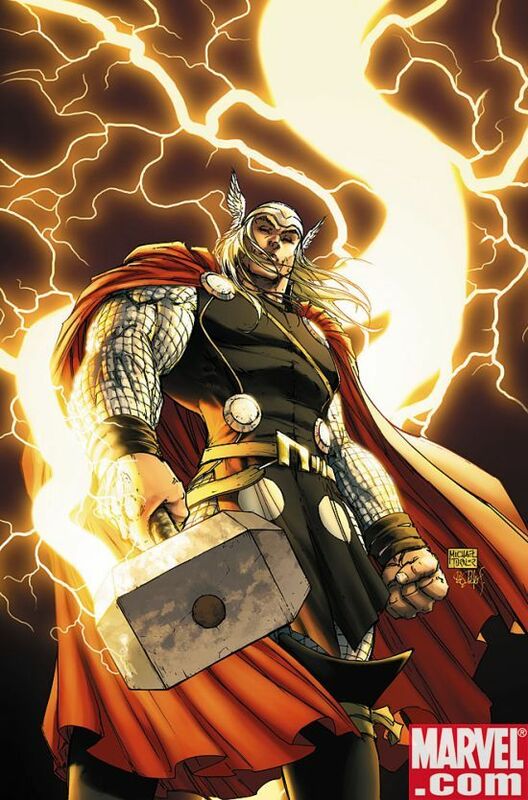 Thor, the god of Thunder, has lived on in popular culture long past the fading of the Norse gods into the background with the Christianization of Scandinavia thanks to Marvel godfather, Stan Lee. After creating the Hulk and looking to find out just how to make someone more powerful than the strongest their is, Lee was struck with the concept of adding a mythological god to the mix and chose Thor as he felt it would be fun to move away from the more familiar Greek or Roman gods and pick Thor, the symbol of a warrior from the brutal Viking legends. 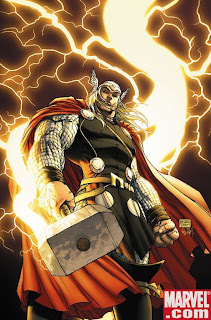 The legend of Thor has stayed relevant and many readers of Marvel comics have likely taken a peek at legends from long ago to find out more about one of Marvel's most recognizable characters. A staple of Marvel's empire, Thor has much in common with his mythological counterpart, despite being most well-known for his flowing, golden locks and Shakespearean speech. Up next an examination of Loki, the god of mischief, and where he falls in the Venn diagram!